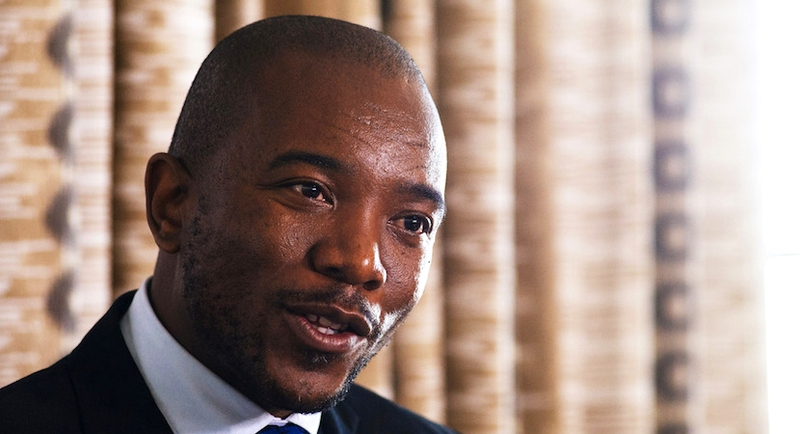 There has been much debate within the party recently about the DA’s position on BBBEE. It is both necessary and good that a growing political party such as the DA grapples with the complex issues of our society. The DA’s mission is to be a party of and for all South Africans, regardless of race or class. We aspire to represent anyone who holds our core values of respect for the Constitution and the rule of law, and commitment to a market-driven economy and a capable state that delivers to all. This is the centre ground in which very diverse people can work together to fight our real enemies: poverty, unemployment and inequality. This is a historic and crucial mission, from which we shall never retreat. The debates we have are important as we forge a way forward. We dream of living in a society where race is no longer a proxy for disadvantage. To get there, we need policies that really transform our society. The only policies that will achieve real transformation are those that fundamentally break down the system of deprivation constructed by past policies of racial discrimination. Policies that work in real life. Policies that broaden access to opportunity. What we do not need is policies that sound good, but don’t work. The DA decisively rejects policies that enrich and re-enrich a connected elite at the expense of the poor majority. Our rejection of the ANC’s BBBEE policy is not about protecting privilege. On the contrary, it is about rejecting elitism. When I travel around South Africa, I am struck by how deeply unequal our country is. It is the tale of two countries: a South Africa of those who are on the inside and a South Africa of those who on the outside. My heart breaks when I see over half our people living in abject poverty, 10 million people without work, and children not being able to read with comprehension in grade four. This is a humanitarian crisis. It requires much more than platitudes and nice-sounding but ineffective policy. It requires courageous, cool-headed leaders who are willing to face up to the reality of what works and what doesn’t. People willing to speak and act on the truth. People willing to call populist policy out for what it is. South Africa is at a crossroads where urgent economic and governance reforms must be implemented if we are to jolt the country out of its technical recession. We need to get back on a path towards realising the potential of our nation. Towards building one nation where there is equal access to opportunity for all. The DA is the only political party where there is open, healthy contestation of ideas. This is a core strength because it enables us to reach policy proposals that will take the country where it needs to go. The debate is robust, and every idea is vigorously interrogated. Through this process, we have come to reject the ANC’s version of empowerment, BBBEE. Even by the ANC’s own admission, its BBBEE policy has failed dismally. Objectively, it has not delivered broad empowerment. On the contrary, it has disempowered the poor majority by deterring investment and job creation, and by making state spending extraordinarily inefficient. It is not a policy for the poor, it is a policy at the expense of the poor. Numbers don’t lie. SA’s growing joblessness figure of now almost 10 million speaks for itself. It’s poverty rate of 55% and growing speaks for itself. Its illiteracy rate amongst 10-years of 78% speaks for itself. Unemployment, poverty and illiteracy are the very opposite of empowerment. The function of any policy which seeks to redress the injustices of the past, which saw black South Africans systematically locked out of opportunities, cannot be to replicate the very evil of Apartheid by denying millions of people the opportunity to improve their lives. And yet this is what is happening in South Africa today. The DA rejects it wholeheartedly and unreservedly. We will only ever support empowerment policies that broaden ownership and earning opportunities to those currently denied them, the vast majority of whom are black. And without doubt, the most effective way to empower people is to create jobs and grow the economy. Increased economic activity makes more people financially independent. It also increases tax revenue to spend on providing quality education and healthcare to all. The ANC’s BBBEE has not only failed to create jobs and grow the economy, it has hindered job creation and economic growth. The fact is, the vast majority of poor people in this country are black. Inequality in SA is still very strongly along racial lines. And this will continue to be the case until we have empowerment policies that seek to deconstruct that system of deprivation that denied black people opportunities to learn, earn and own. The main pitfall of South Africa’s debate about BBBEE is that too often empowerment policies are viewed through a prism of the ANC’s policy framework. This is a massive mistake. The ANC’s BBBEE is not the only way to approach empowerment. In fact, it is the one way we shouldn’t be approaching empowerment, because it has already been tried and shown to have failed dismally. As a party which governs for over 16 million South Africans and controls the bulk of the country’s local government budget, the DA has an obligation to craft a clear alternative to the ANC’s failed policy of BBBEE. It is incumbent on us to study what has not worked with their policy and seek to do better. The greatest flaw of the ANC’s policy of BBBEE is that it has enabled corruption and the enrichment of an elite few. It is a system characterised by economic exclusion instead of broad inclusion. This is why the DA categorically rejects the ANC’s policy of BBBEE. It has failed too many South Africans and contributed to inequality and social instability, widening the gap between the ‘haves’ and the ‘have-nots’. The DA’s policy on this matter is clear. Our core principles as an organisation are non-negotiable. We support broad-based economic empowerment but reject the ANC’s policy of BBBEE. We do not support a policy which has merely perpetuated economic inequality and restricted access to opportunity. This position is not new to the DA. In Parliament, we have repeatedly voted against the ANC’s policy of BBBEE because we believe there are more effective and innovative means to achieve the stated intentions of the policy without being confined to the ANC’s narrow view on this. It is our role and obligation to advance this alternative to the voters. We believe that our economic offer would be able to achieve true black empowerment, by doing away with a system of patronage and simultaneously creating an environment which is fertile ground for job creation. This is based on our underpinning values contained in the party’s founding documents which guide our policy process. A DA national government would never advance a policy that only empowers those who enjoy proximity to political power. We have demonstrated this where we govern without exception. Our obligation is to ensure that true empowerment reaches far and wide so that the gap between those who are in and outside the formal economy is closed shut. Failure to do so would mean we continue to subject our people to the very same old and tired policies of the ANC which have done little for the majority of South Africans plunged into poverty and unemployment. The DA is a young, dynamic, forward-looking party. In government, we would take a multi-pronged approach to empowerment. Most urgently, we would implement economic reforms so that jobs may be created for the millions who worry about putting food on the table for their families daily. Specific empowerment policies would support, rather than undermine, the imperatives of job creation, quality education, broadened ownership and increased entrepreneurship. Our policies will always seek to bring more and more poor people into the economy. We will never support policies that undermine our ability to bring those who have been excluded on board. That is why we reject the ANC’s BBBEE. The World Bank’s proposal of a contributory pension which would help provide more South Africans with pension savings and thus exposure to the wealth created by financial assets. The model of Economic Empowerment for the Disadvantaged (EED) proposed by the South African Institute of Race Relations. The Pact for Inclusive Empowerment (PIE) that develops an empowerment index for listed and non-listed companies. This could provide a way for market pressure and shareholder activism to drive corporate behaviour towards a positive social impact. A tax credit for those who support adult dependents. This would lower the tax obligations of those who support adult non-taxpayers. In other words, provide support for what has become known colloquially as ‘black tax’. Promotion of Employee Share Ownership Schemes. These proposals are lateral in thinking and allow for broader access to economic opportunities for more poor, black South Africans. South Africa cannot be confined to the ANC’s failed policy framework. Times are rapidly changing, and our economy and nation have suffered greatly under years of ANC governance. The time has come for innovative policy proposals that will rapidly grow the economy and empower the black majority at the same time. Admitting that BBBEE has failed spectacularly is difficult for the ANC. It would mean acknowledging that theirs has been a policy that has simply provided a patronage and crony system, proof they are incapable of managing the real problems South Africa faces. It is a massive injustice that a quarter century after the end of Apartheid, opportunities and life chances are still defined by the colour of one’s skin. The DA will not be deterred in crafting policies that will rectify this. Our alternative empowerment policy ideas will be discussed and tabled at the next federal executive. This is an ongoing discussion. The DA will not be reduced to populist rhetoric. We are truly on a mission to build an inclusive South Africa for all. Mmusi Maimane is the leader of the DA.